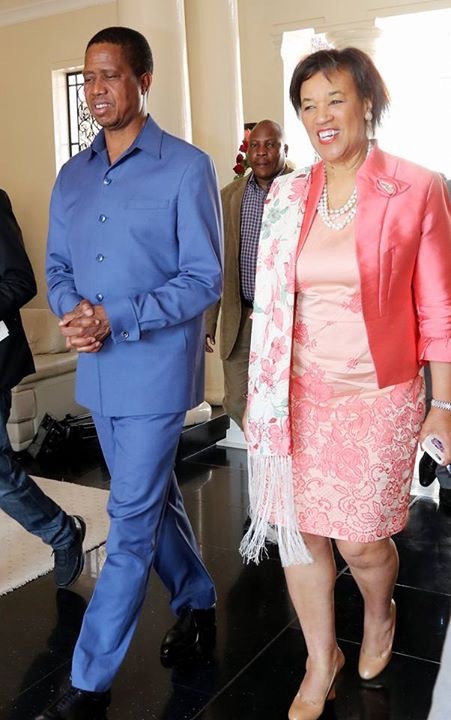 Commonwealth Secretary General Patricia Scotland is this afternoon expected to visit incarcerated UPND leader Hakainde Hichilema for the second time at Mukobeko Maximum Prison in Kabwe. The PF abused ZNBC reports that State House Press Aid Amos Chanda says the second visit is because of matters that arose when Mrs Scotland presented her Report to Edgar Lungu after she met Hichilema at Mukobeko prison. Chanda said that at the right time the visiting Secretary General of the Commonwealth will brief the media on her visit to Zambia. Mrs. Scotland is expected to meet Speaker of the National Assembly Patrick Matibini before going to Kabwe to meet Hichilema. She is the second high profile dignitary to meet Lungu and the incarcerated opposition leader Hichilema in a week after former Nigerian president Gen Obasanjo made a similar visit last week. How come all political arrests are done by same policemen?